Polypropylene (PP) is a robust material that can resist corrosion and moisture. 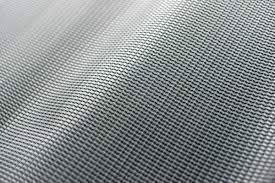 When supplied as honeycomb panels, the material becomes more durable with its unique cell structure. High-quality PP honeycomb can be used in construction as a means to reduce the overall weight of the building. The honeycomb geometry is an aspect that minimizes the number of materials you are likely to use to achieve the minimal material cost and minimal weight. The cells are typically hexagonal and columnar in shape, which helps reduce the density and the relative high out-of-plan shear and compression properties. PP honeycomb is not only lightweight, it also boasts high compressive strength and resists corrosion caused by seawater and chemicals. It is moisture-proof and waterproof, too. It can be incorporated into a structure to provide sound insulation and ensure a stable internal temperature indoors. Polypropylene honeycomb has superb shock and compression resistance, and it can reduce the damage caused by collision and impact by absorbing the external force. In case the material is no longer needed, PP is environment-friendly and recyclable. The properties of PP honeycomb make it widely used as partitions in construction or as building board. Panels can be incorporated into ceilings, fairing, or as parking pavement, or used as pavement in gardens and parks. The applications of polypropylene honeycomb extend beyond construction to automobile manufacturing, such as when it is used as flooring, wall, or roof of a bus or trailer, or when used in high-end packing materials or as a radar cover. Plywood may be the typical material that is used in construction, but polypropylene honeycomb panels can be a cost-effective and lightweight alternative. As long as you have the right equipment, sealants, and glues, PP honeycomb can be used properly as construction material for any application. Likewise, make sure that you get PP honeycomb from a reputable supplier that has a good track record of providing high-quality polypropylene products.